With a midterm election and multiple state races approaching, political groups at Tufts say they hope to transform students’ interest in politics into concrete action. This work is undoubtedly shaped by President Donald Trump, though student political activists note that the president is not their sole focus. At Tufts, which had an above-average rate of voter participation in 2016 according to a Jonathan M. Tisch College of Civic Life study, next semester’s focus will be on acquainting students with the gubernatorial race, the race for senate and multiple ballot initiatives, according to the leaders of several on-campus political groups. Cecilia Rodriguez and Deborah Mayo, the incoming co-presidents of Tufts Democrats, explained that one of their organization’s goals is to encourage students to participate in phone banking, canvassing and otherwise participating in campaigns. Rodriguez observed a tendency toward “political hobbyism,” in which people are excited to see favored candidates win but reluctant to campaign. To that end, Mayo noted that Tufts Democrats will work with JumboVote, Tisch College’s election participation platform, to hold campus voter registration drives and help students get to the polls on Election Day. Mayo also said the group will participate in off-campus canvassing. Tufts Democrats brought both major democratic candidates for Massachusetts governor, Jay Gonzalez and Bob Massie, to campus earlier this semester, as well as former candidate Setti Warren. Unless only one candidate secures at least 15 percent of votes from delegates at the state party convention in June, both candidates will face off in a primary election in early September. Mayo said Tufts Democrats is unlikely to endorse a candidate until the party has chosen its nominee. The club is also interested in getting involved with the state’s ballot measures, which Mayo says could result in collaboration with Tufts Progressive Alliance (TPA), a left-wing group that grew out of Sen. Bernie Sanders’ primary campaign for the presidency. Rodriguez noted that many club members will likely volunteer for Sen. Elizabeth Warren’s re-election campaign. “She’s a figure who is easy to get enthusiastic about, so I could see a lot of Tufts students turning out to help her campaign,” Rodriguez said. Meanwhile, Tufts Republicans President George Behrakis said he plans to emphasize fiscal issues in his effort to convince a largely left-of-center student body to vote for Republican candidates. He felt that Republicans should distance themselves from Trump and rebrand their message to focus on their economic vision and appeal to younger voters. He acknowledged, though, that many prominent Republicans have remained loyal to the president. “Now that he won the presidency and we control the levers of government at least for the next two years, we should be more critical of him when we can because he is in power,” Behrakis said. Behrakis believes there is a strong possibility that Democrats will secure a majority in the U.S. House of Representatives in November, given the historic trends for midterms and Trump’s relative unpopularity. Given Republicans’ defensive position, he hopes to center his message to students on core issues and emphasize strong recent economic indicators. At the state level, according to Behrakis, the club will not endorse primary candidates for U.S. Senate or Massachusetts governor. Behrakis predicted that Charlie Baker will easily win his gubernatorial primary, and he criticized fringe challenger Scott Lively, a Western Massachusetts pastor with a decades-long record of anti-LGBTQ activism in the United States and abroad. In contrast, leaders of TPA are interested in operating outside of a partisan structure. For Isabel Fernandez, a rising sophomore and TPA organizer, the group’s appeal is in its issues-focused approach. “There are a lot of progressive students on campus, but channeling their beliefs into action is what we’re here to do,” Fernandez said. TPA members are likely to support the Democratic nominee for governor, and the group has endorsed Josh Zakim in his primary campaign against incumbent Secretary of the Commonwealth William Galvin, according to rising senior Nate Krinsky and rising sophomore Ben Plotnik, both organizers in the group. An additional focus for the group is on ballot measures. The organization endorsed ballot referenda that would raise Massachusetts’ minimum wage to $15 per hour, require paid family and medical leave and explore amending the U.S. Constitution to overturn Citizens United v. FEC (2010). It opposes a ballot measure that seeks to roll back protections for transgender residents of Massachusetts, according to Fernandez, Krinsky and Plotnick. TPA plans to hold informational forums about the measures at Tufts and participate in campaign efforts, they said. Left Unity Project (LUP) similarly positions itself as an alternative to the partisan structure, though it is focused less on political campaigning and candidacy and more on general left-wing activism, according to member Ann-Marie Lee. Lee, a rising junior, explained that LUP’s activism is both proactive and responsive: it has responded to recent events through rallies and teach-ins, and it sets up study groups and partnerships with community organizations. “LUP really strives to be an open community for people to learn about radical revolutionary thought,” Lee said. Lee noted that the group is interested in adopting a broader, more encompassing definition of political activism than the traditional partisan dichotomy, including promoting work from Group of Five centers and various activist organizations. Lee argued that, because of students’ often affluent backgrounds, Tufts is dominated by a partisan understanding of politics with a goal of winning within existing power structures. LUP seeks to broaden this framework by bringing in perspectives from the world at large, and by making the group welcoming to women, people of color and LGBTQ people, Lee added. Some leaders of Tufts’ left-of-center political groups observed that Trump has, in some respects, made their job of convincing students to vote for progressive candidates and causes easier. For Rodriguez and Krinsky, the Trump presidency has spurred conversations and made more people engaged, serving as a warning about the dangers of political apathy. This dynamic has its limits. Lee says some Trump administration policies pose threats to people in marginalized groups, leading to a reluctance to speak out, even though the current political climate has increased people’s sense of urgency and possibly made students more receptive to leftist beliefs. Similarly, Plotnik said Trump’s victory was discouraging for many. On the other hand, Behrakis, who says he largely agrees with Trump on economic and foreign policy but does not appreciate some of his rhetoric, believes the president has made it more difficult to pitch Republican candidates to Tufts students. He plans to focus on key issues, and hopes Republicans do not tie their fortunes to Trump. 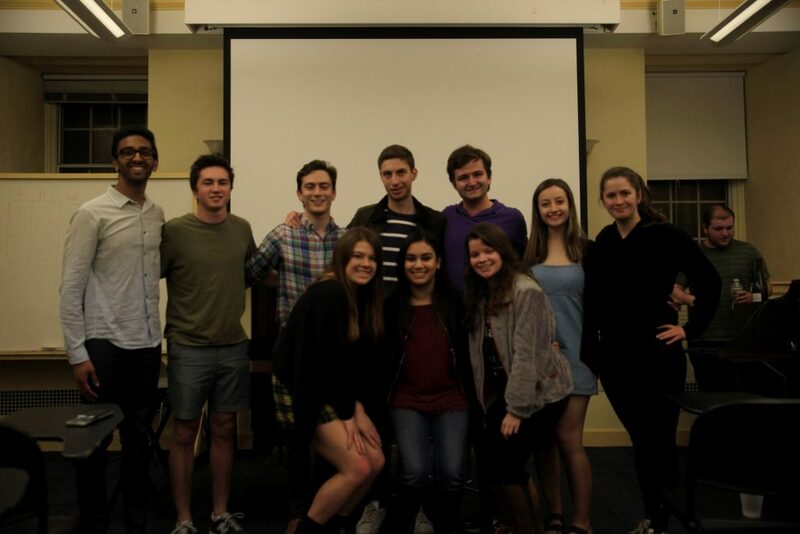 Members of both TPA and Tufts Democrats emphasized that, while Trump sends their base a cogent message, progressive candidates cannot coast solely on opposition to the president.